What is a Reiki Distance Healing? During the Second Degree Reiki Attunement the symbol for Reiki distance healing is placed in the practitioner’s aura. This symbol allows the practitioner to transcend space as well as time, rising above these constraints. This is how distance healings are performed. No longer hampered by distance, the practitioner can channel a Reiki healing to anyone; no matter where they are and at any time. Reiki Sessions are $95.00. Your Distance Reiki Session will take approximately 45-60 minutes and will include an aura cleansing to begin, and a chakra balancing will complete your healing session. Note: I will be contacting you within 48 hours after receipt of PayPal payment to schedule your Reiki distance healing session. After payment for this service is received, I will contact you to find out what method of distance healing you prefer. Once decided upon, then I will schedule an appointment time with you during which I will channel Reiki healing energy to you. You may choose to meditate while I perform the distance healing. Or simply lie down and relax. But, you do not have to do anything. You could be asleep or even at work. 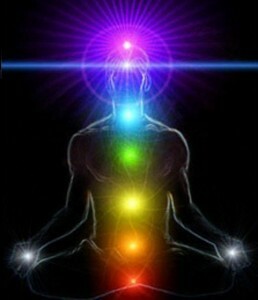 The Reiki healing energy will pass through me to you no matter what you are doing. I can utilize a picture of you. I focus on your picture as I channel the Reiki healing to you. I can simply use your written name. I place your name and Reiki symbols on a piece of paper, and hold the paper between my hands. I can also channel Reiki healing energy to you by sending it in your direction. I become aware of which direction you are in, geographically, and send the energy to you by focusing in that direction. I might choose to focus on myself (my knee for instance) and channel Reiki healing energy, sending the healing energy to you. If you have more questions about my Reiki distance healings do not hesitate to contact me. I look forward to assisting you!